Deal or No Deal Join n Play follows in the long line of highly enjoy and incredibly popular Deal or No deal themed slot machines to give a great fun, very recognisable slot playing experience. Deal or No Deal Join n Play is a community based slot with a giant screen facing out over the smaller individual gaming terminals. These terminals act as standalone slot machines, until such a time as the community bonus Deal or No Deal game is active, at which point all eligible players enter into the bonus round and play off against each other. 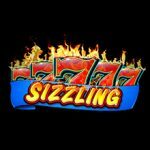 Whilst waiting for the countdown until the next bonus round, the slot is played in the standard way with three or more of a kind wins paying from left to right on any active winline. The reel symbols are very well defined and feature an array of Deal or No Deal ladies, as well as the more common playing card values of 10, J, Q, K and A. There are five standard reels plus a sixth bonus reel which acts as a multiplier value. In the bottom of the screen, as well as the top main screen is a countdown until the next bonus round is due to start. 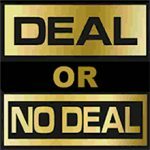 The very clever concept of Deal or No Deal Join n Play keeps the anticipation incredibly high, as each bonus round is guaranteed to start at regular intervals. A countdown clock displayed on both the top main screen and on the individual gaming terminals informs players when the next bonus round is due to start. Once the countdown reaches zero, all eligible players partake in the game. To be eligible for the Deal or No Deal Join n Play bonus you must collect a minimum of 18 gold briefcases, with each additional 18 briefcases adding to a bonus multiple, increasing it by one each time. When the countdown reaches zero, all eligible players select a briefcase with a random hidden value inside, at this point the usual Deal or No Deal game rules apply. A selection of cases will be removed, you may then ‘deal’ or ‘no deal’. As each active player ‘deals’, they are removed from the game until either all players have collected their winnings, or the final box is opened. The offers are always the average of the values that remain. If you play until the end of the game, you will be given the option of switching cases with another player, swapping with the last remaining case, or sticking with your own. Once all of the values have been paid, winnings will be multiplied by any eligible multipliers that you may have built up prior to the start of the bonus. All players values will be ranked in a high score table on the main screen, at which point the countdown will begin again for the next game. Deal or No Deal Join n Play is a great fun slot machine available in North American casinos and uses a similar concept to Deal or No Deal In It to Win It. Have you played this slot machine? Let me know in the comments below what you think.